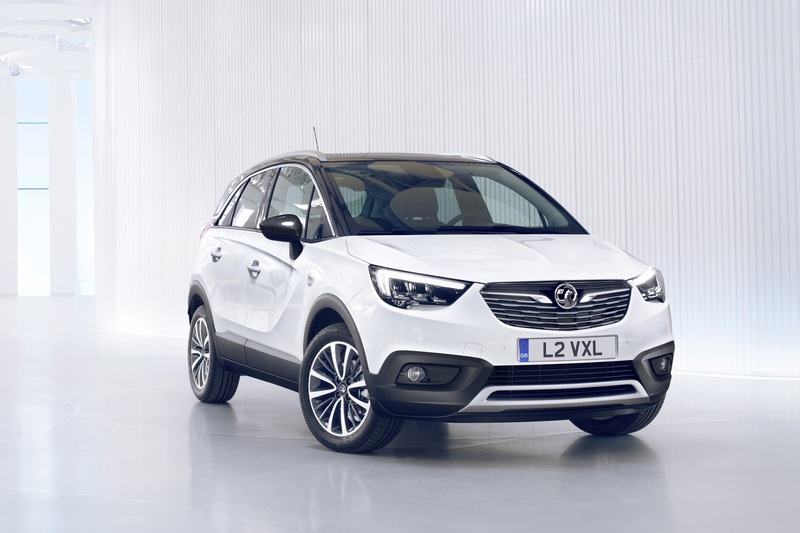 Vauxhall has revealed it all-new Crossland X, what it sees as a second vital ingredient to the company’s burgeoning SUV offering, which is due to grow still further in 2017 with the launch of the larger Grandland X later in the year. While the Crossland X’s recently-launched sibling, the Mokka X, has all-wheel-drive capability, is 70mm higher and has larger wheels for buyers “with a taste for adventure”, the Crossland X has a more family focus, with a Tardis-like cabin providing “high degrees of practicality and flexibility”. At 4.21 metres in length the Crossland X is more compact than the Mokka X, and a full 16cm shorter than the Astra Hatch, offering owners greater convenience while driving and manoeuvring in towns and cities. Adding to Crossland X’s urban appeal is an elevated seating position and an overall height, which is raised ten centimetres above the Astra’s. Vauxhall sees the Crossland X entering a different SUV class to the Mokka X, with rivals such as the Renault Captur and Peugeot 2008. The Mokka X’s competitors include the Nissan Juke and Skoda Yeti. The Crossland X has specially designed AGR-certified adjust their seating position to increase leg room. This seating flexibility is equally valuable for luggage capacity, which is a class-leading 410 litres with the rear seats up. The flexibility of the rear seats allows the luggage capacity to be increased if additional leg room is not required. Additional innovations, according to Vauxhall, in the Crossland X make driving safer and more comfortable, and include a 180-degree panoramic rear-view camera, advanced park assist, forward collision alert with pedestrian detection and autonomous emergency braking, lane departure warning, speed sign recognition and side blind-spot alert, among others. Forming the first part of Vauxhall’s ‘Five-Star’ 2017, which will see five major product launches in just one year, the Crossland X will be joined by another newcomer to the ‘X’ family, the larger Grandland X which will compete in the compact SUV class (SUV C-segment) later this year.